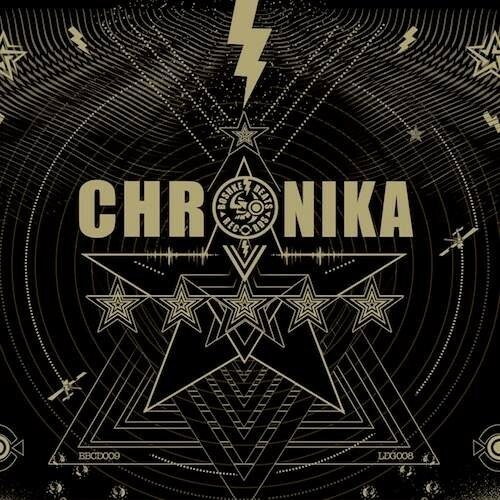 16 years since the first Chronika chapter 1 release in 2002 and here we are again your true Sonic Boshke Perverts bringing you the fifth chapter of already classic compilation series compiled and executed by the label head and DJ Alex Tolstey. This time we make a special collaboration with our Japanese Extrawelt, The Delta, X-Dream, Eitan Reiter, James Monro, Sam Waller, Jurek Przezdziecki, Muzarco all those names don't need an introduction or description, those are most influential heavy weight players in electronic dance music today releasing their music on top labels as Cocoon, Perc Trax, Drumcode, Traum, Ideal Audio etcÅc, and what unites them all is the roots and the vision they share and spread in the last decades, with their own sonic philosophy of how the techno music should sound like in the XXI century. Some call it psychedelic techno, some techno-trance, we prefer to call it Offshore Techno or Boshke sound, the sound that succeed to survive and establish itself beyond any trends and modern tendencies of dance music, the sound that still remains underground and keeps on waking up people's imagination and inspire not only other producers and djs but also painters, writers and even movie makers. Exclusive artwork and package designed by our one and only visionary mentor Inga Burina of Ingart studios. Eardrums and Egregors unite ! Offshore Techno to the Maximum!